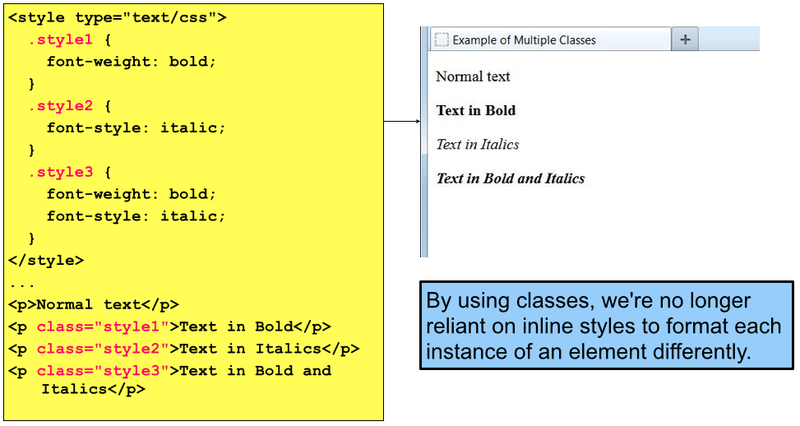 The id selector uses the id attribute of an HTML element to select a specific element. An id should be unique within a page, so the id selector is used if you want to select a single, unique element.To select an element with a specific id, write a hash character, followed by the id of the element (#para). IDs can be applied to one and only one element in a web document. 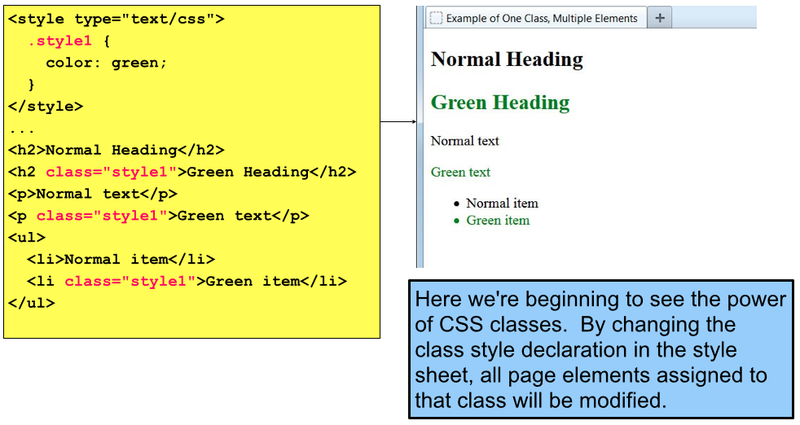 Classes can be applied to an unlimited number of elements, even different types of elements on the same page. 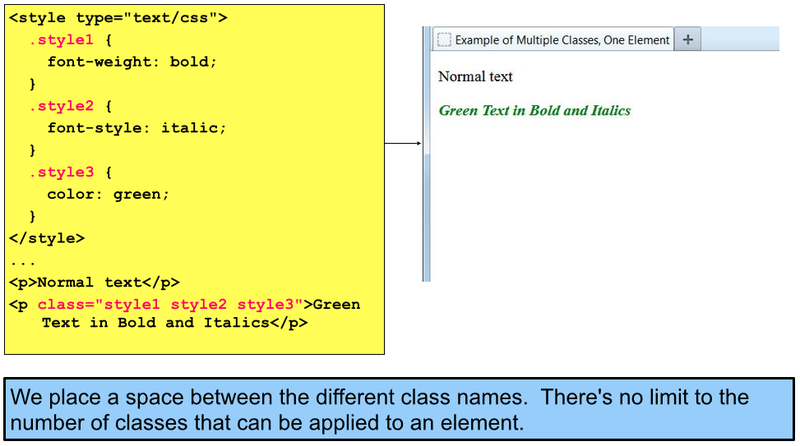 If conflicting styles from an ID and class are applied to the same element, the ID will outrank the class in the cascade. An ID is restricted for use with a single element in a web document. Using the same ID more than once on a page will result in an error. We’ll use IDs sparingly in this course, preferring classes for their greater flexibility.